There are dog vests and pet leashes to go with other canine pet accessories. But what will you use to organize and store all of these accessories? 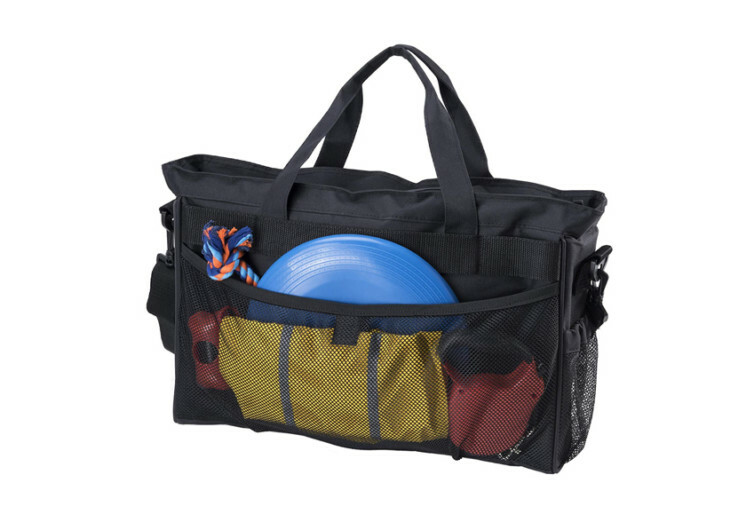 How about you get the Dog Travel Bag from Overland Dog Gear? 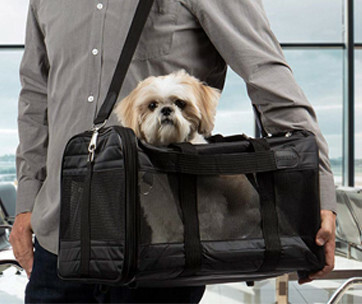 This is a travel bag that’s designed for the modern pet. 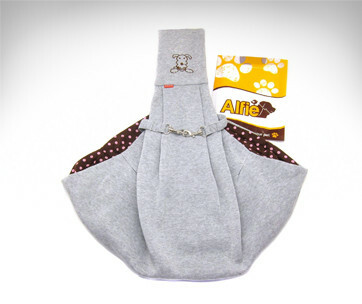 It features a handful of pockets for organizing everything that Fido needs. Like all traveling bags, the Overland boasts of a sturdy and durable fabric material. It’s a standard requirement for all traveling bags since you don’t want its contents spilling onto the floor. What you should know about the Overland dog bag is that it complies with the carry-on requirements of major airlines. It also includes a luggage tag for better and easier identification. 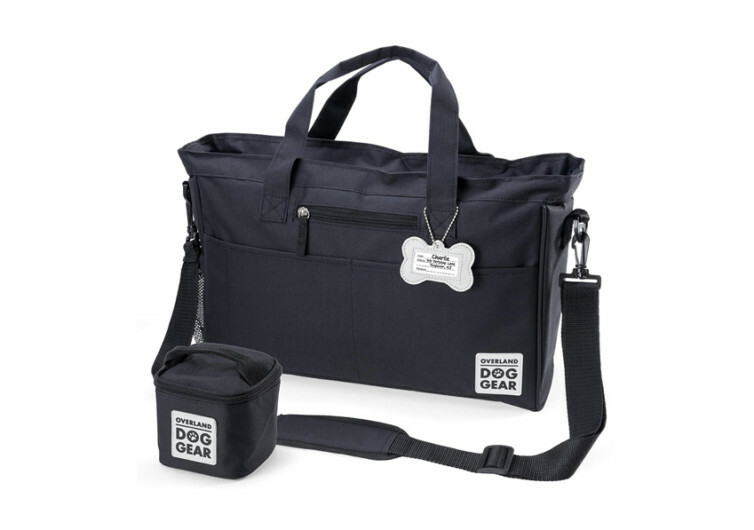 This bag is perfect for packing your pet’s essentials from dog food to treats to toys and veterinary records. 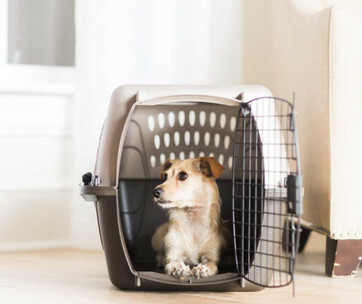 The main compartment is large enough to accommodate your dog’s leash, pet costumes, dog blanket, and many more. The compartment features a heavy-duty zipper for greater security. 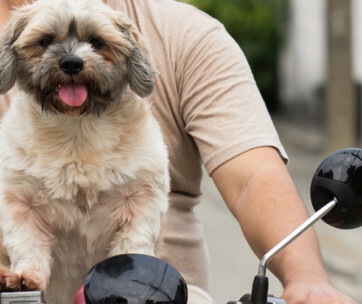 You can also stash your dog’s vaccination records, health certificates, and other documents that are important for traveling canines. There’s also a smaller storage compartment up front. This comes with a zipper, too. 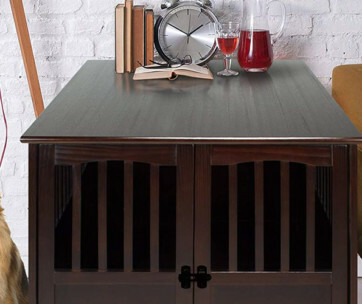 If you don’t mind putting your mobile phone, car keys, or wallet inside, then it should be a worthy storage solution. Beefing up the zippered front pocket are two large open pockets. These are perfect for stashing your pet’s other essentials like a leash and body harness or collar. On the side of the Overland is a mesh pocket. It can accommodate a bottle of refreshing water. Too bad there’s only one mesh side pocket on the Overland. If it came with two, then you won’t have any issues. What you will find amazing is an included 3-cup capacity food carrier. This miniature food storage box comes with a food-safe liner so you can store up to 3 cups of dog kibbles. 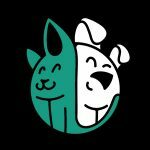 If you’re not interested in bringing along dog food, you can fill it with yummy treats. This should keep your dog entertained while waiting for your flight. There are two ways you can carry the Overland. It comes with a padded shoulder strap for hands-free transportation. And if you feel more confident about handling it, there is a pair of grab handles, too. The Overland Dog Travel Bag empowers your pet to travel in style. 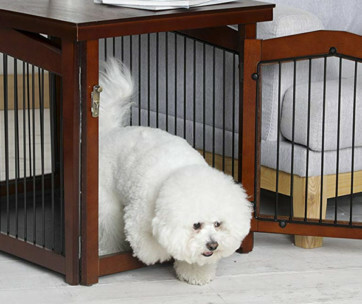 Best Dog Crate Furniture: End Table For Your Pooch!